I’ve been sticking with Weight Watchers since January. Things are going well-ish. At times I think the weight loss is too slow and at other times I’m just proud I’ve stuck with it as long as I have. The biggest challenge has been finding new recipes to keep from getting bored by eating the same thing over and over. 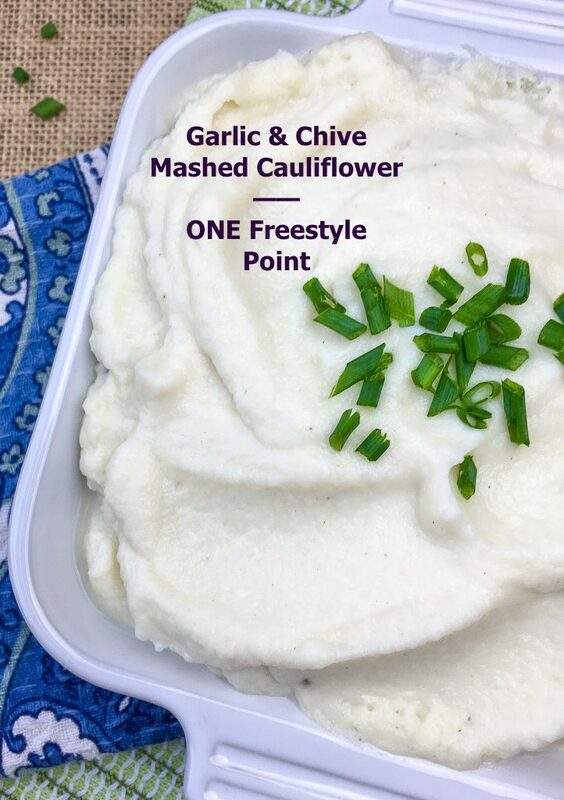 Enter this chive & garlic mashed cauliflower recipe that comes in at only ONE Weight Watcher Freestyle point per serving. One. Point. YAY!! 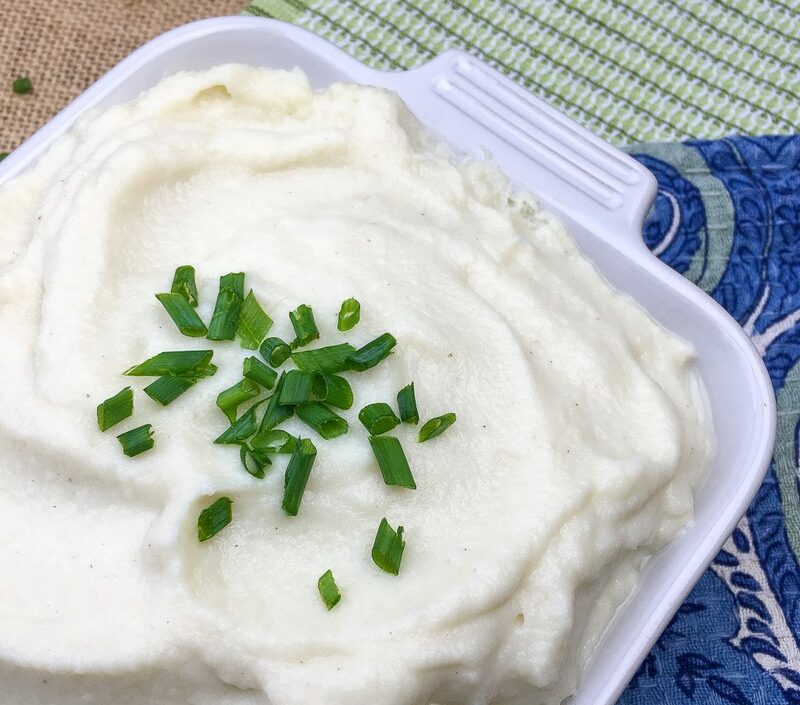 This flavorful cauliflower mash pairs well with a wide range of beef, pork, chicken, and plant-based entrees. As a bonus, it comes together in under 30 minutes. 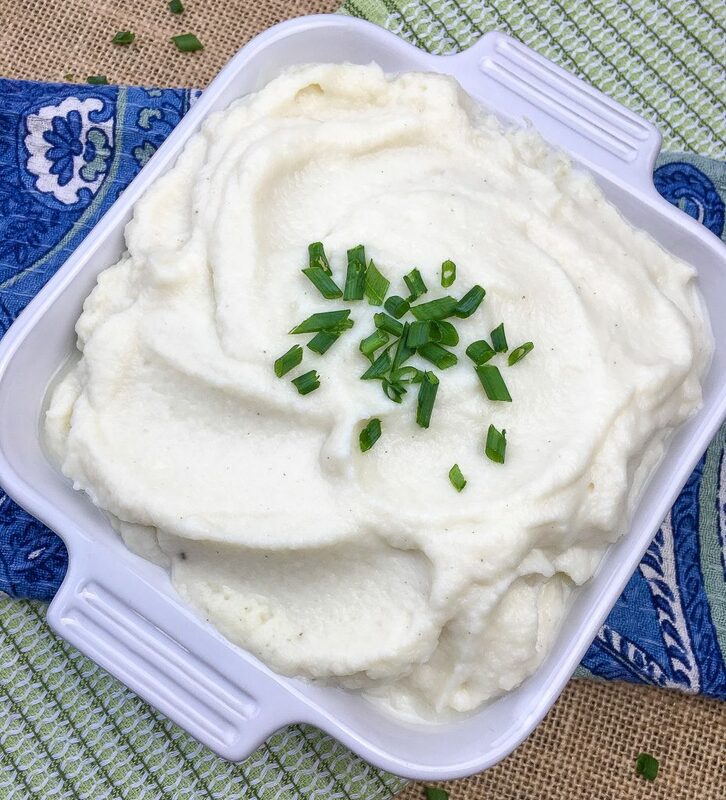 This is such a perfect side dish for those busy weeknights when you want to stick to the WW plan but everything is rush, rush, rush. Don’t let life detour your goals. Stick with me, we’ll walk this journey together and I’ll be sharing many more quick, easy and Weight Watcher friendly recipes! Place the cauliflower florets and the garlic cloves into a steamer basket set over a pot of gently boiling water. Cover and steam until the cauliflower is fork-tender, around 15 minutes. Transfer the cauliflower and garlic to a food processor or blender and add the melted butter, almond milk, garlic powder, and onion powder. Transfer to a serving bowl and top with fresh chives before serving.